One of the things that no doubt helped me become a designer without training is the fact that I can write sentences real good too. If you can write copy for the piece you’re also designing, people love you. A lot. I actually majored in journalism (before switching to education and then art and then graphic design and then back to journalism) in college, and was hired by TMS as a writer before being laid off a year later. 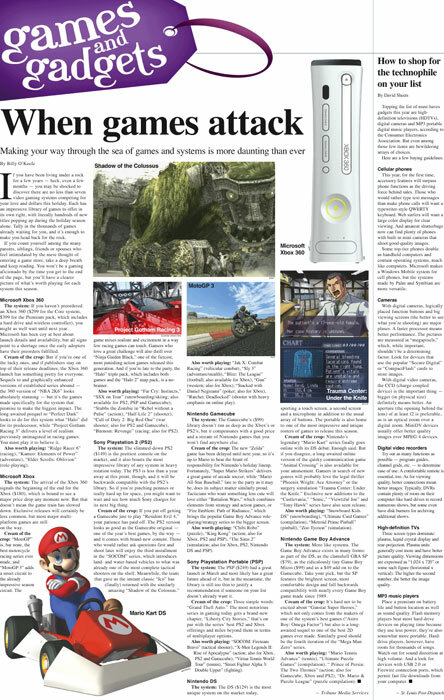 I still write a couple columns for a wire service — one of weekly game reviews, another with DVD reviews. That gaming reviewing knowledge and design know-how clashed annually when I’d write a story for TMS’ holiday gift guides, which I also designed. That’s the bottom page you see here, while the cover for the same section is above. Also an annual deal: that cover story. 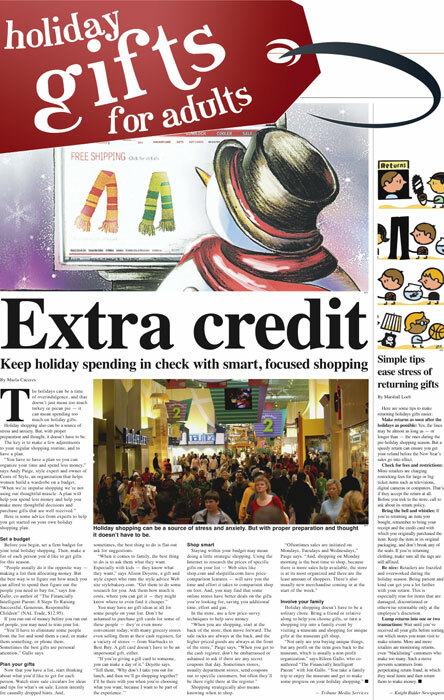 No better way to get people in the holiday shopping mood than by kicking things off with a one-two punch about debt and anxiety.